So it was appropriate that UCT’s Children Institute has called for the ban of this disciplinary measure on children, which they describe as “cruel and degrading”. 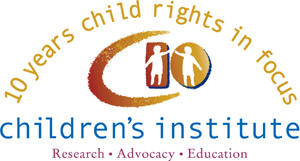 In their recent submission to the Department of Social Development, the Working Group on Positive Discipline, of which the institute is a member, has instead called for “positive discipline” – which focuses on long-term solutions and develop children’s own discipline – to be meted out to children. The submission was one of several made to the department, which is reviewing the Children’s Act and its regulations. This after it arose that the engagement and interpretation of the law is either unclear or needs improvements. The Working Group, made up of 14 organisations, seeks to provide children with the same level of legal protection from physical violence that is afforded adults, and to assist parents and guardians with finding effective disciplinary alternatives. But the group made it clear that prosecuting parents will not be in the children’s best interests.